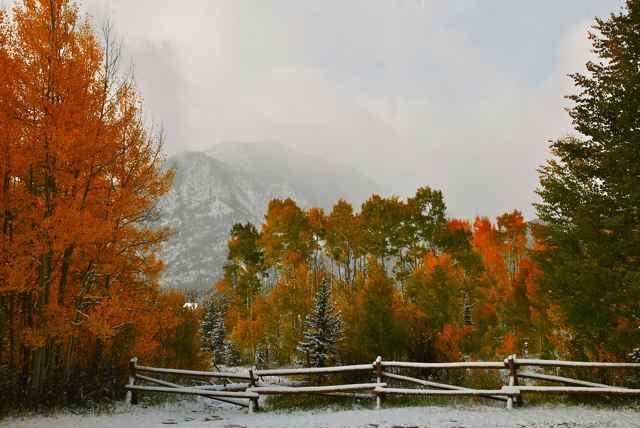 Winter in Summit County started early this year, with a few dustings in September and some significant snowfall in early October coinciding with the peak of the fall color season, seen here at the Meadow Creek trailhead in Frisco. 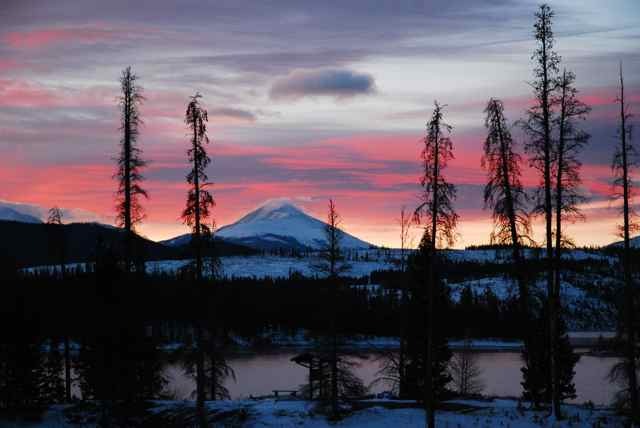 Here are some of our favorite winter scenes captured by Summit County photographer and journalist Bob Berwyn. 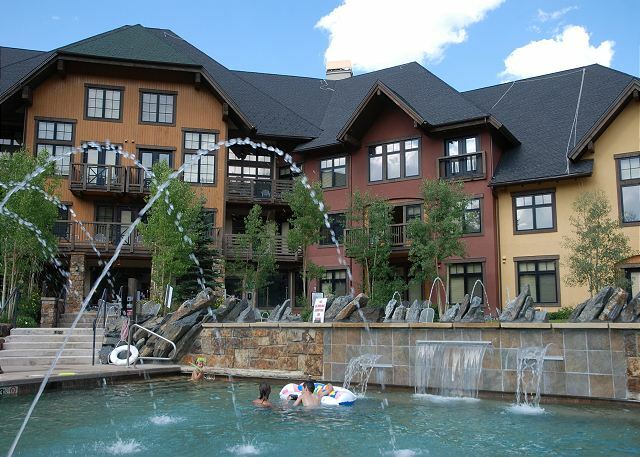 Follow the Copper Colorado Condos Twitter feed for daily photos and other timely updates on new blog posts, and join our Facebook community to see what our guests and friends have to say. By mid-October, there was a solid blanket of snow on the ground and early mornings were looking downright wintry. This scene, looking across Dillon Reservoir toward Baldy, was captured along the Dillon Dam Road, between Frisco and Dillon. 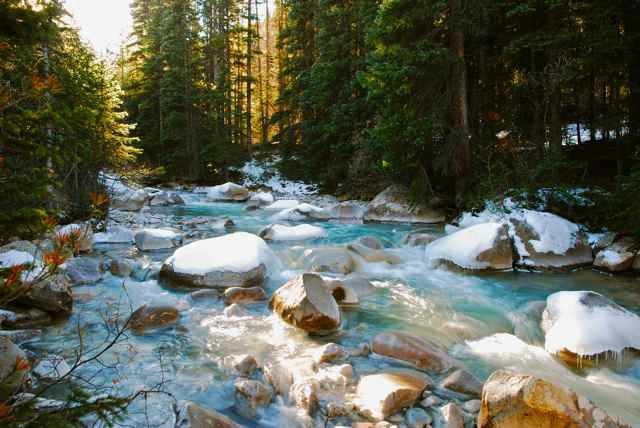 In between autumn colors and the big snows of winter, there is a magical time when the creeks start to ice up. This is the Snake River, near Keystone, Colorado. 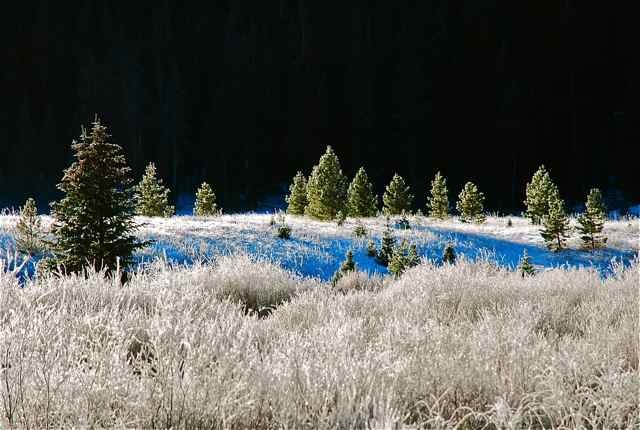 Frost, snow and light create winter magic in this Summit County, Colorado landscape. 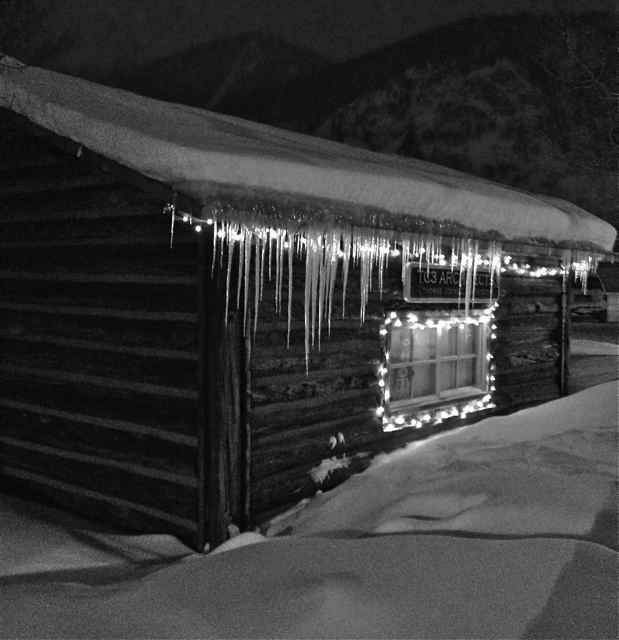 Downtown Frisco, Colorado, deep snows and an ice-draped cabin make for a different kind of winter enchantment.